Both Smile and Palette's titles were confirmed via Sekai Project's twitter announcements to be getting a release by Denpasoft, which was accidentally left out of the article at publication. Article has been changed/altered to reflect this. 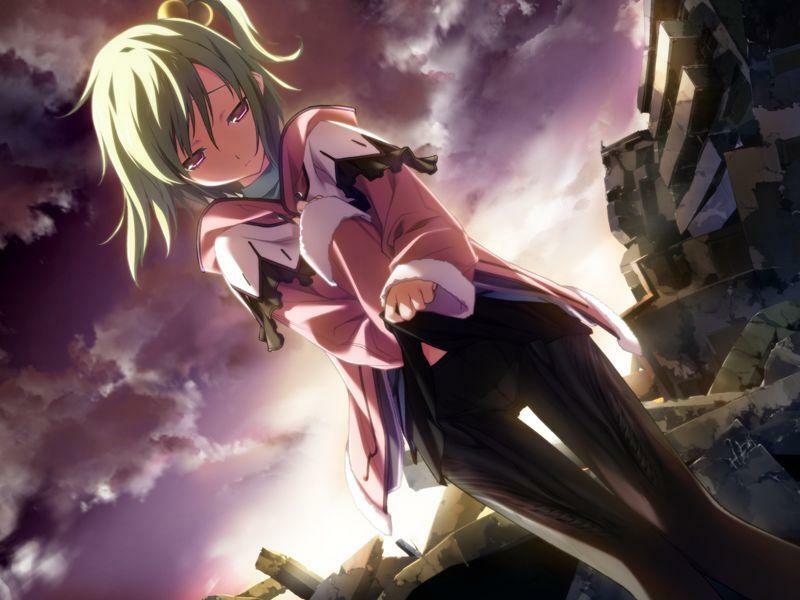 Sekai Project has announced six new visual novel titles at Anime Expo 2016: four coming from new developers, one from a developer already partnered with the publisher. At this year’s Anime Expo convention in Los Angeles, California, Sekai Project announced six new title acquisitions at their panel, with four being from new developers and one from their current developer partners. The new partnerships include developers Giga/Team Baldrhead, Palette, Smile, and IlluCalab. Their announcement from their list of current partnerships is from Love in Space, the developers of the Sunrider series. 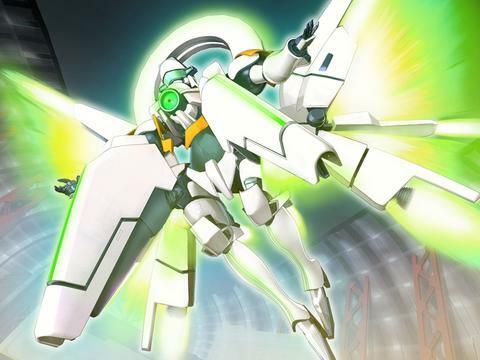 The biggest announcement of the night for Sekai Project was by far not one, but two Baldr Sky games. 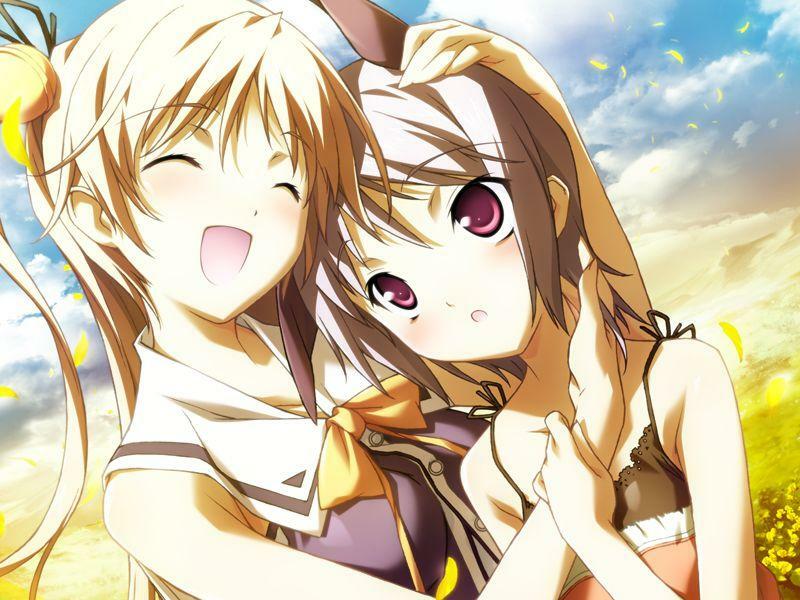 The publisher announced that they had acquired both Baldr Sky Dive 1 “Lost Memory” and Baldr Sky Dive 2 “Recordare”. 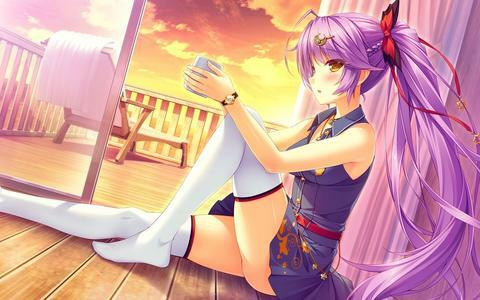 The Baldr Sky series has been highly requested by the community for several years, with many believing that it would more than likely never hit the Western market anytime soon. 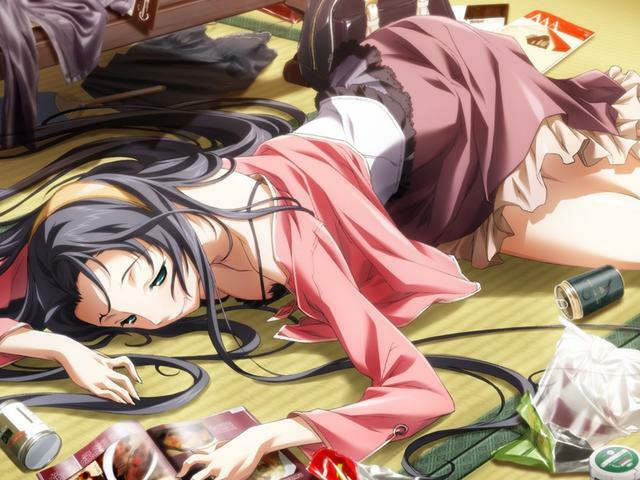 During the Q&A, the question of whether the games will be receiving an 18+ release came up, and no real answer was given as to whether it will be getting a Denpasoft release or not. 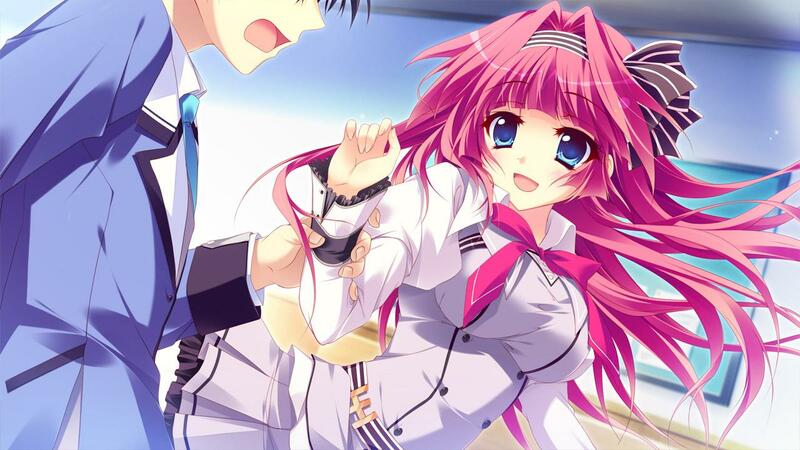 In another surprise move, Palette’s title Koi ga Saku Koro Sakura Doki, also known as SakuSaku, was announced. 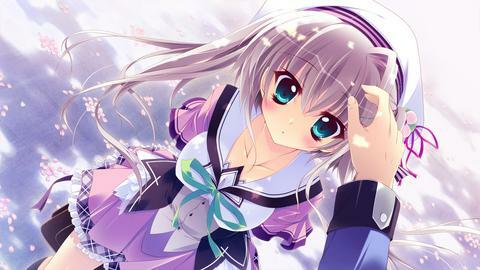 An adult release with Denpasoft for the title has been confirmed. Smile’s Boku to Koi Suru Ponkotsu Akuma was also announced during the panel. 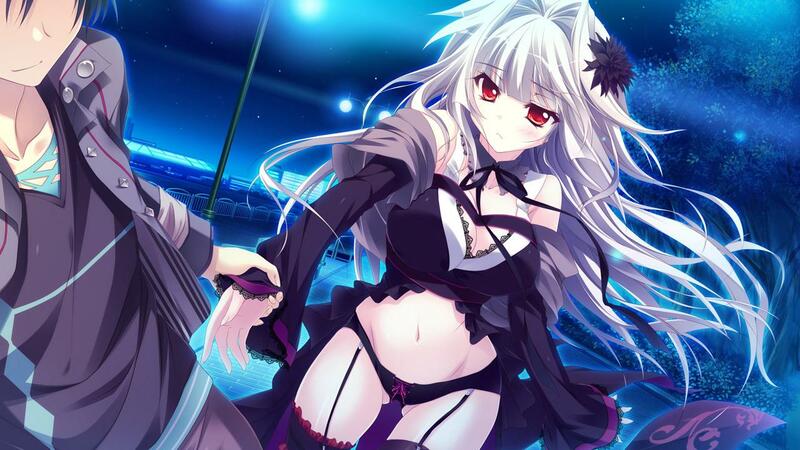 The title features artwork by Sayori, who is well known for the Nekopara series. It will also be receiving an adult release via Denpasoft. Finally, the last of the Sekai Project announcements was a new title from Love in Space titled Shining Starnova, which is centered around idols. For your reading pleasure, you will find trailers, synopsis’, and sample CGs for some of the titles below. When seven worst idols are cut from their production company, it falls on you, Mr. Producer, to bring them back together for one last chance at stardom. You may label a new magic with any word, and keywords contained in it will decide its power, elemental, and other parameters. You may also combine two different magic to create a new, more powerful magic. While Kou is asleep in his bed, the scream of a girl wakes him up. He rises to see in front of him a battle full of gunshots and flashing bombs exploding. He realizes that he is wearing an iron armor. “What’s this?” He doesn’t know what’s going on. One day, Kadokura Kou awakes in a virtual battlefield. He, who is a skilled Simulacrum user, soon remembers that he was pursuing someone with Rain, his partner. Kou and Rain investigate the incident that ruined his peaceful school life known as “Gray Christmas”, but various mysteries stand in the way of the truth. 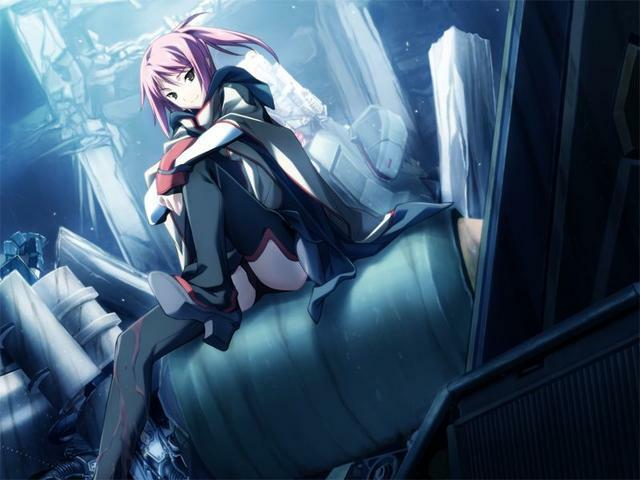 As time passes, he gradually regains his lost memories and re-unites with his friends. He was suddenly pushed into the school’s special dormitory. It was a girls’ dormitory full of ponkotsu (affectionately useless) demons: Yuu, the yuki-onna who was extremely sensitive to the cold; Arle, the mummy girl who is uncomfortable with tightness and loves the feeling of freedom; Emiri, the hopeless angel who has no sense of modesty and who is also his step sister; and, Miyabi, the witch who passionately develops a love drug to bring happiness to the world. The dormitory was built to rehabilitate them and since he was mistakenly moved there, he was assigned as an assistant to watch over them. His happy and troublesome days as a teacher for these cute but incompetent demons has begun. Spring is the flowering season, the season of the cherry blossoms. It is the time for first meetings and partings, when the buds start sprouting. Yuma is a second-year student at Mihaya Academy who listens to love problems from girls at the school and gives them thoughtful advice. This has made him quite popular and loved, resulting in a 21,000 yen (taxes included) ‘love bounty’ placed on him. The girls came to him with problems ranging from jealousy to infidelity. Having heard about so many troubles related to love, Yuma lost any desire he had for it. One day, a mysterious girl appeared before him. She had never been in love, but she believed that it was a wonderful thing. She asked him if he would like to be in love, and that as a love fairy, she will help his love come true. A girl who cannot fall in love. A boy who has no interest in love. If they end up falling in love with each other, how will the world change? 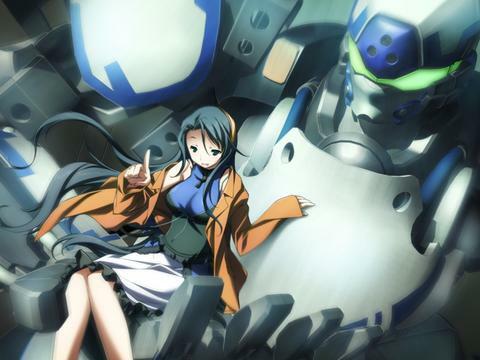 That’s all of the Sekai Project announcements from Anime Expo 2016. You can check out other Anime Expo 2016 announcements here. We’ll keep you up to date on any answers or breaking developments we come across in regards to these new releases.